Posted on Saturday, November 12th, 2011 at 11:10am. This past month the sales to active listings ratio in Greater Vancouver shifted slightly to 15% which places us from the higher end of a buyers’ market into the lower end of a balanced market. This is because home sales remain steady while listing inventory takes a break for the first time this year. There were 4,374 new listings in October which is in line with the 10 year average for new listings. Currenlty, there are 15,377 properties listed for sale in Greater Vancouver, 4% lower than last month. While the number of sales increased slightly last month, detached prices decreased by 1.6% in October and condos decreased by 3%. Attached properties increased marginally by .5% compared to the previous month. Price stability combined with a healthy inventory gives home buyers more selection and more time to make decisions in some markets. On avergae it’s taking 50 days to sell a home in Vancouver which is 2 days less than last month and 4 days less than in October 2010. Home prices are holding steady across the region. Benchmark prices are up 7.5% for all residentail propertiies in the area over the last 12 months, however, they have edged downward by 1.3% since hitting a peak in June of 2011. In September, there were 120 detached home sales in Vancouver (West), 21 of which resulted in buyers paying list price or higher with $562,000 being the highest price paid over list. No, that's not a typo. In West Vancouver those numbers were only 14 out of 88 sales while North Vancouver lead the pack with 29 out 78 or 37% of sales at list price or higher. Compared to September 2011, the Housing Price Index (HPI) benchmark for single family as well as apartment condos has decreased slightly from $896,701 to $884,778 and from $405,569 to $402,702 respectively. The price of attached properties has increased from $516,697 to $519,455. In Greater Vancouver, over the past 12 months, the benchmark price for all residential properties (detached, attached and condos) has increased by 7.5% from $579,349 to to $622,955. However, since reaching a peak in June of $630,921, the benchmark price for all residential properties in Greater Vancouver has declined 1.3%. Stats are provided by the Real Estate Board of Greater Vancouver; feel free to view the complete REBGV Stats Package for October, 2011 on their website. 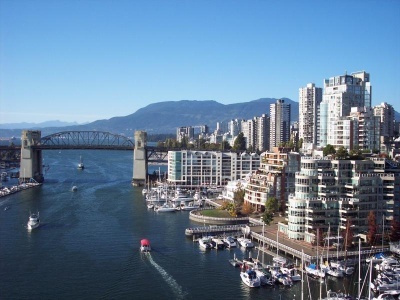 1 Response to "Vancouver Real Estate Listings Decrease for the First Time in 2011"
Great news! Our inventory is the lowest it's been in 4 years, hopefully this makes our markets a little more competitive for sellers. Posted on Sunday, January 8th, 2012 at 8:29am.